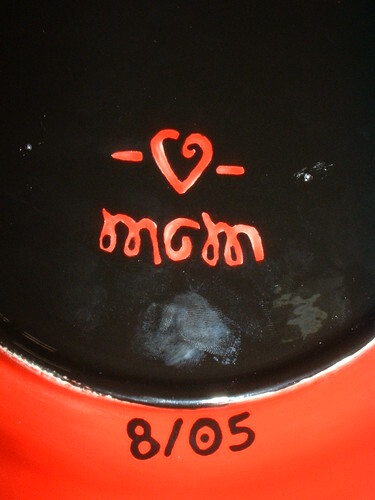 In 2005 I went to a local “paint your own pottery” shop and created my own version. 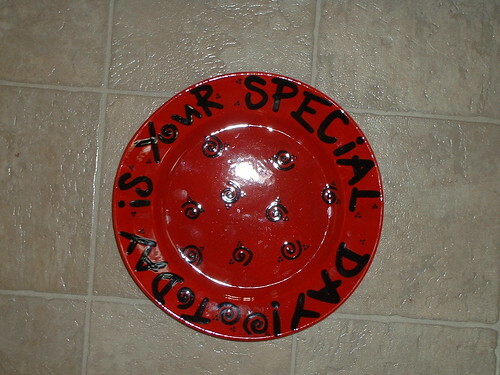 I’m mostly pleased with the plate I made. 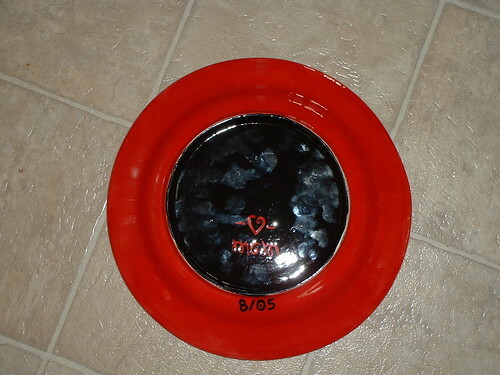 It’s definitely more my style than the original plate. What matters most though is that my kids love it because it helps them to feel like the king/queen for the day. 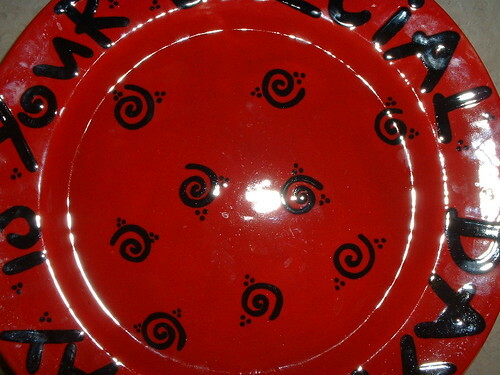 You know, I’ve always wanted to paint on glass and dishes.. gave me a bit of inspiration.. I might try it… nice job! cuteness. 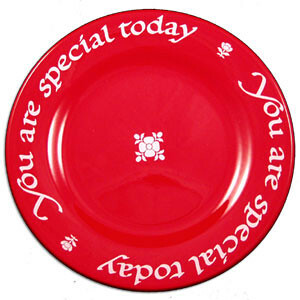 Mine reads god thinks you are special today…and every day. Love that you made your own. that turned out so good! I agree, the swirls are the best. Thank you for linking this up too! So precious! Your kiddos must love it.